What has just been completed on June 14, 2014 was a long-dreamed of adventure of the sort that very few people have ever attempted; a single-handed sailing circumnavigation of the globe, that Dave Rearick and Bodacious Dream began on October 2, 2013 when he departed from Newport, Rhode Island on a voyage of adventure as well as one of learning and discovery. 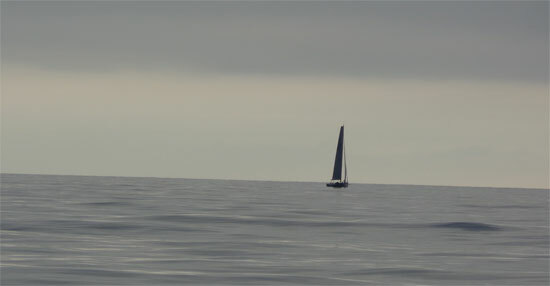 As this site is more dedicated to racing, all news of the circumnavigation was published not here on Bodaciousdream.com, but on BodaciousDreamExpeditions.com. There is where you can review all the many updates and stories that were told, all the “science notes“ that were published and all the guides and tools to learning and discovery that were also such a big part of the expedition. That said, here’s a brief recap of what happened. 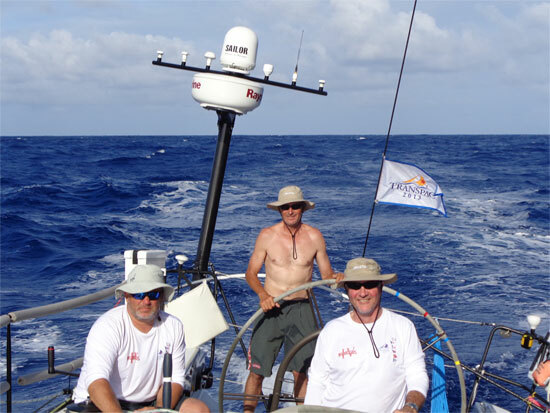 1) On December 3, 2013, Dave completed Leg 1, landing safely in Cape Town, South Africa, after completing the 8,000 miles voyage including a stop-over in Bermuda. While in Cape Town, Dave visited and filed updates on excursions to visit African Penguins and the Cape of Good Hope. While in Cape Town, Earthwatch published a news story on Dave and the Expedition. 2) On December 21, 2013, Dave departed Cape Town on Leg 2 bound for Wellington, New Zealand. 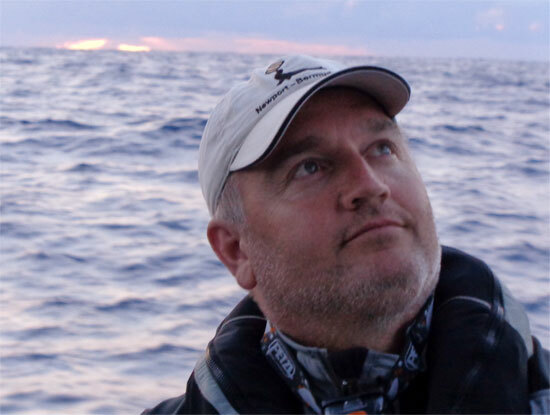 On February 8, 2014, after enduring weeks of intermittent stormy seas, Dave safely landed in Wellington, New Zealand – a journey of over 7,000 miles. While in Wellington (where Bodacious Dream was built in 2011) Dave undertook a special excursion to visit Fox Glacier. 3) On March 26, 2014, Dave departed Wellington, NZ on Leg 3 which took him east to a waypoint in the Southern Pacific near 46°S Latitude and 147°W Longitude where he gybed Bodacious Dream north towards the Galapagos Islands. On May 1, 2014, Dave safely landed in the Galapagos Islands … one of Earth’s great nature preserves. Several reports followed. :: FOLLOWING OUR ADVENTURE! 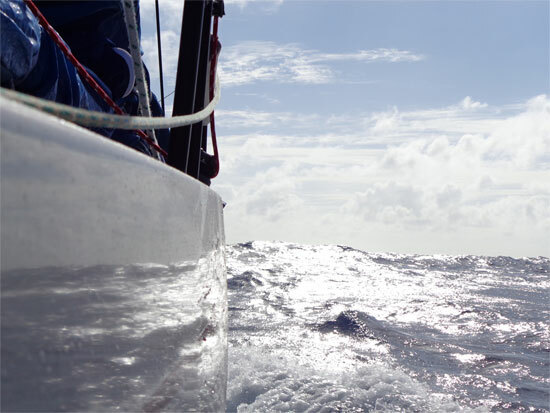 The entire voyage was accompanied by regular updates, published on our Expedition Blog. These were also posted to Facebook and Twitter. Many of Dave’s videos were uploaded to our BDX YouTube Channel and also included in our updates… and people could SIGN UP as well for our Email Newsletter! :: LEARNING AND DISCOVERY! Our goal all along the way was to share Dave’s experiences in as direct and accessible a way as possible. We encouraged people to jump with us deeper into the wonders and beauty of the natural world that Dave traversed by sharing with the younger people in your world our Explorer “Study” Guides! We also encouraged folks to check out our “Citizen Science” page. Included there, you will see listed our up-to-date series of “Science Notes“ written for us by our Earthwatch ocean scientist, Tegan Mortimer who brilliantly picked up on what Dave encountered on the water and wrapped it up for us in beautiful scientific perspectives. Let the learning begin! 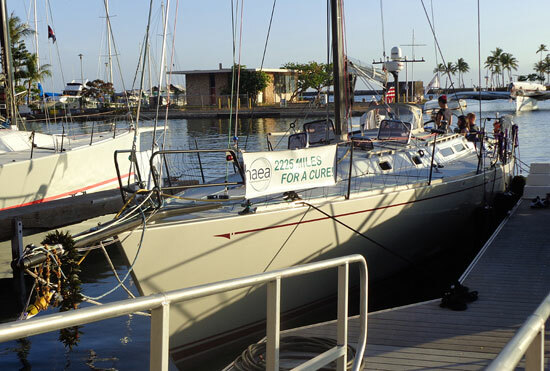 Well, it’s been quite a week here in Hawaii, since Bodacious IV crossed the finish line in the early morning hours of last Monday, some 10 days, 18 hours and a few minutes from when we started on July 11th in Long Beach, CA. This past week, in addition to being graciously hosted to a reception by our friends at HAEA (US Hereditary Angioedema Association) for all our efforts, we also celebrated our great finish with good friends, attended the Transpac awards ceremony, began the breakdown of Bodacious IV for transport back to the mainland and on top of all that, we even found some time to relax in the sunshine, eat some ice cream and carry on as tourists! 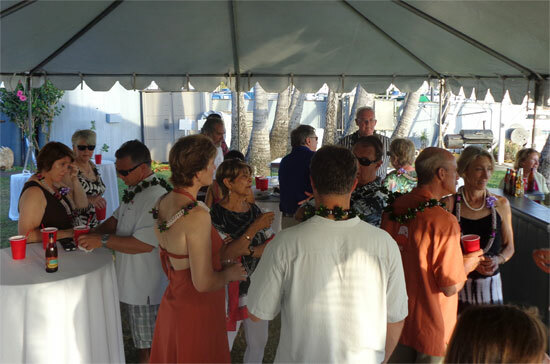 On Tuesday evening, we gathered at the Hawaii Yacht Club with our friends at HAEA and shared with them our stories. I was truly surprised and honored when I heard what great support all of you Bodacious Friends gave to HAEA. In the past few weeks since we formed this advocacy partnership with them, you contributed over $11,000 dollars to support their great programs. That is a beautiful thing, and I am so grateful for your acceptance of our efforts and of your generous financial contributions. HAEA reception at Hawaii Yacht Club. The unique aspect of Hereditary Angioedema is how rare it is. What this means though is that many doctors and hospitals are not even aware of its existence. Just imagine being in an emergency room, not knowing what has happened to you, and being attended to by doctors and nurses that mean well, but just don’t know the first thing about your condition. I learned that this happens often, and that one of the things HAEA does is to be on-call for those doctors and patients to effect the proper treatment. Hooray to all of you for helping to support these amazing folks! On Thursday evening, we attended the Awards Ceremony for the 2013 Transpac, where our whole Bo IV crew was up on stage to receive our award for third place in Division 6. It was a great moment with a lot of cameras flashing! And just as remarkable and historic, was the moment that Dorade, a beautifully restored wooden yacht built in 1930, was awarded its first place over-all finish award for this year’s Transpac! Dorade competed and won this very same race in 1936, when she was a brand new boat on the yachting scene. Sailing onboard Dorade was our good friend and fellow Class 40 competitor, Hanna Jenner. 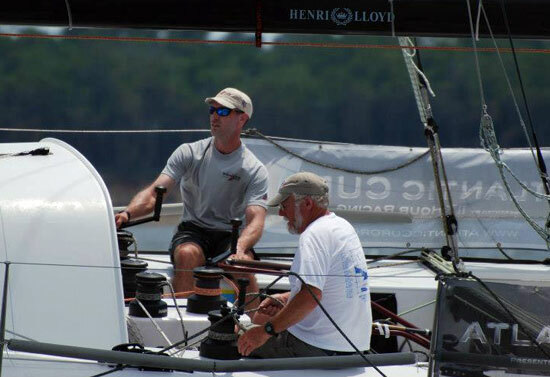 Hanna and fellow Class 40 sailor Rob Windsor will be sailing as Royal Racing onboard 40 Degrees this summer doing three major races in Europe! Keep an eye out for them. The aloha spirit took a little dip on Friday, as our friends and crewmembers individually began to fly back home to families and jobs, leaving Captain Tim Eades and myself to the task of disassembling Bodacious IV in preparation for her trip by freighter back to the U.S. mainland and then across the U.S. to Newport, Rhode Island. The process of disassembly of the boat begins with the pulling off of miscellaneous halyards and sheets (lines or ropes), taking off the boom (the long horizontal piece at the bottom of the main sail), disconnecting lots of wiring for instruments and hydraulic hoses that control the sails, and preparing the mast for unstepping (lifting out of the boat.) Today Monday, just ahead of a serious tropical storm that is approaching and threatening Hawaii with severe weather, we will take Bodacious IV up to the boat yard where she will be hauled (lifted) out of the water, the mast unstepped, the keel removed (unbolted and dropped), the rudder removed (disassembled and dropped out) and then placed in her cradle on a truck trailer for transport. Once in the cradle, Tim and I will spend the rest of the week padding, packing, tying down, putting away and doing inventory of equipment so Bodacious IV is ready for the 7 day trip across the Pacific, after which there will be another week-long trip across the country to Newport. 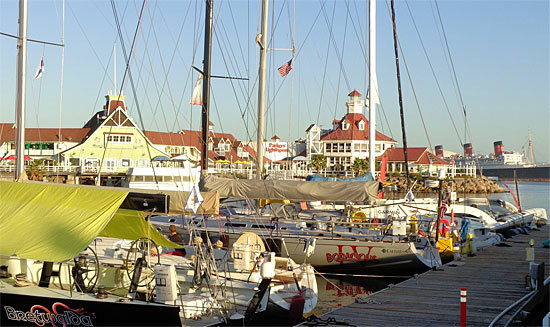 Once Bodacious IV is secured, I too will head back to the states with a stop in California before I head onto Newport myself to begin preparations on Bodacious Dream for the upcoming departure right around October 1st of our Bodacious Dream Expedition Solo Circumnavigation! 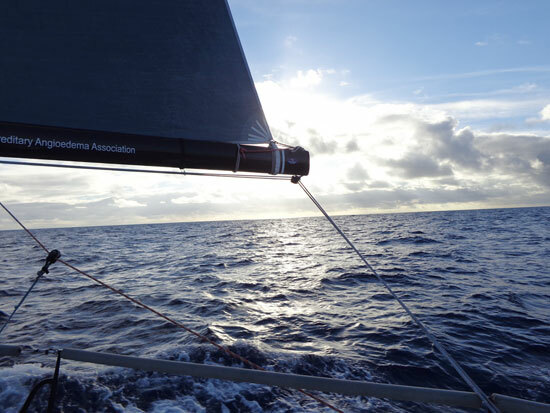 Now that the Transpac is over, and our focus shifts to the Global Expedition, we’ll be sending along regular updates as we move closer to our departure date. We’ll start off with our anticipated itinerary, and hope that it and all that follows will get you as excited about following along as I am about making the trip. So, until then, you can view more videos from the Transpac Race on our YouTube Channel, catch up with our photos on Facebook and catch up on our blogs post on both BodaciousDream.com and BodaciousDreamExpeditions.com websites, though all our links are at the bottom of every email. 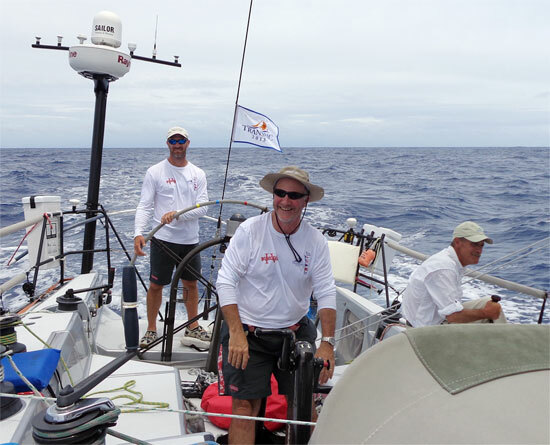 Transpac Update – Back in the Lead on Day #9! Saturday was another day of fast downwind sailing! What incredible fun we are having … though at times I can’t help recalling my Dad saying, “Too much of a good thing isn’t such a good thing.” Hopefully, Dad wasn’t referring to open-ocean sailing when he said that! We’ve been on this latest gybe all day now and we keep a constant vigil on the tracker to see how we are converging with Horizon, which is north of us and still slightly ahead. Perhaps, by the time you read this, that will have changed! It seems to us at least, that with each passing hour, we catch up a little bit more … but it will still be right down to the wire as we approach the Hawaiian Islands, where the Moloka’i Channel winds may whip up peaks of powerful waves. We are also heading now into a large area of lighter winds around the islands. This is where the race may very well be won or lost. Reflecting a moment on this great expanse of water, a few thoughts for you expeditionary-minded followers. The Pacific Ocean makes up 46% of the water on the earth, and its total mass is near equal to all the Earth’s land masses put together. That’s a LOT of water obviously, but out here, you can feel that immensity all around you and at all times. We haven’t seen a speck of land, since we lost sight of California. I think I said once, that a six-foot tall person standing on deck, can see approximately six miles before the curve of the earth falls away. If you view it from all sides of the boat, we can see in circles of about twelve miles in diameter … and we’ve sailed now about 2000 miles inside that small moving circle of perception. This means that so far, we’ve seen about 24,000 square miles of water! What we’re rolling on top of here is big BIG! If you were to look at an ordinary student globe, that much water stretched the length of the Transpac route would be about the width of a string! The water has grown steadily warmer the farther south and west towards Hawaii we go. In the change of temperature, we’ve seen a lot more flying fish, and a lot less seaweed and kelp of the sort that you find close to the California coast. Just today, we started to see some birds too. Imagine if you were an ancient navigator – no GPS, no cell phones, no computers and even a sextant or compass. As the water temperature warmed and the flying fish became more ubiquitous, you would take them as cues for your navigation. I also find myself looking out and imagining I’m one of those ancient navigators who has none of our modern instruments, and who is forced to ask how this voyage compared to any I had been on previously, or to accounts that might have been given to me by others who had sailed these same waters before me. I also look at these seas, at the sky and across the water, and compare it in my senses and memory to the Atlantic Ocean that I crossed in Bodacious Dream back at the end of 2012. Though it’s fun to dream of being an ancient navigator, we are who we are … and modern navigators and sailors use electronic instruments to help us navigate and sail our boats. On our mast we have three big displays that you can see from the cockpit. 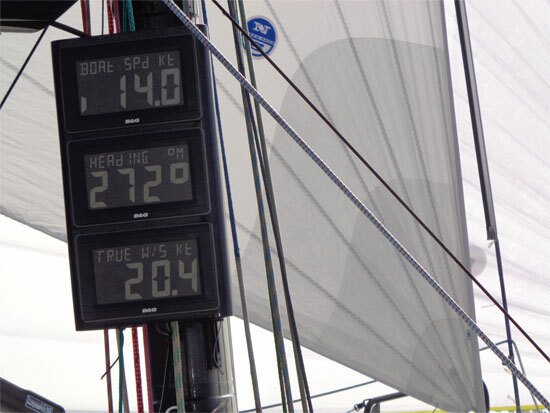 They show us the boat speed (we call that the “fun meter!”) Presently, our top speed has been 21.4 knots … set last night! Under boat speed, you can see our compass heading and below that, our wind speed. These are all important readings that help us stay fast and on course. We have six other instrument displays in the cockpit that show us other information that the navigator sends up to us, and that we consult in the course of our sailing. It’s really pretty amazing all the technology that we are using at the moment to get the absolute peak of performance out of this incredible boat. It’s been comforting not to see much debris the past few days, but that just means we are moving farther west and south of the big Pacific gyres of debris. We do keep a lookout every day just to add to the data we share with the scientists at Earthwatch, who are part of a growing alliance of scientists and concerned citizens who are seeking better ways to preserve and protect the Earth’s oceans. While sailing well is our primary goal here, there are always maintenance chores that have to happen each day as well. We must manage and prepare our meals, take care of personal hygiene, check steering cables for wear and tear (just like checking the tires on your car.) We must also check the boat for any worn equipment and frayed lines. We “roll” our halyards and lines … meaning we tighten or loosen them regularly so they don’t rub or wear too much in the same place, which might lead to breakage. We had one line part earlier in the trip. Today we had to repair a large tear in our spinnaker with some special cloth tape that is made just for that job, and tonight, we found a short in the electrical system and had to rewire that. All is well though, but these are just some of the many things that need to be tended to daily, to keep a floating enterprise of nine people intact and safe for the duration of a long race such as this. Well, that’s enough to consider for one sailor’s log, not to mention the fact that we are less than 250 miles from Honolulu and by the time you read this, we will be in our last 24 hours of sailing. Checking again this morning, the Race Tracker leaderboard (copied below) looks to have tipped back in our favor (yay!) … so, while we are not home yet, it indicates that the strategy decision of the past few days seems to be working out pretty well. So, ready or not Div 6 … we are b-aaack!! 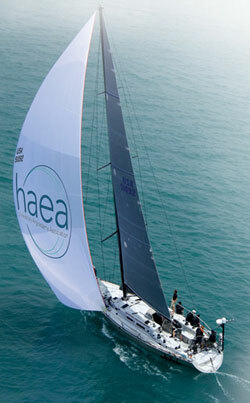 Also, be sure to keep a lookout for our HAEA-logoed spinnaker as we approach Diamond Head and the Transpac finish line. So, that’s it … until later … thank you again for all your great support! - Dave & the new ancient mariners of Bodacious IV! SOG (Speed over Ground): 12 Knot Avg. Greetings from the middle of the bodaciously blue Pacific! We’re coming to the end of Thursday’s daylight, sunset is an hour away, the winds have set us up nicely and we have been moving very fast all day. Wind speeds have been in the high-teens and boat speeds surf up to 18 knots from time to time … this is surely the experience that brought us here! We’ve got about 775 miles “as the crow flies” to Honolulu, but realistically, a hundred or so more given the gybes that will likely be necessary along the way. We’ve heard from some people that they don’t quite see or understand all the interesting strategy and navigation that is going on over here, and so they wonder why we are so far away from the rest of the boats in our section. Well, as I said in a previous update, sailboat racing is a meld of both the efficient physical operation of the vessel and the effective mental cognition required for navigation. Navigation is a very large part of the game being played here; just like strategy is in chess. 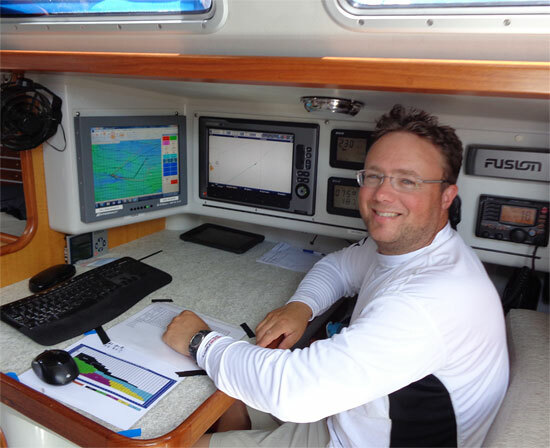 Navigator John Hoskins w/ computers, plotters & charts taped to the table top. John Hoskins is our navigator/tactician. John’s been racing with us at Bodacious Racing from our beginnings 6 years ago now, and is a highly experienced solo and crew racer on the Great Lakes. John’s primary job onboard BoIV involves balancing three elemental variables and so calculating our best course on an ever-changing game board of possiblities. The three variables are … 1) the weather, 2) the navigation from start to finish and 3) positioning and strategizing our moves when compared to our competitors. This race in particular is rather tricky as the typical course to Hawaii drops down into the trade winds, and then involves a gybe into Hawaii. This year, there is an interesting phenomenon called an “inverted trough” that is is happening a bit south of the rhumb line to Hawaii, but which we feel can provide us better wind from a better direction. And so, that right there is where the “game” has taken us. You can see in the tracker screen shot above, how we’ve worked our way south of the pack of our competitors in order to catch up with this better wind and more angled direction into Hawaii. So, while it may look a little odd that we have taken such a different course, there IS a plan at work here. As we’ve been saying today, we’re “all in!” Our bet has been made … and now it’s a run to the finish! If the inverted trough stays with us and the winds lean our way, we’ll make up some time. If other unplanned variables come into play … and there are ALWAYS unplanned variables when dealing with the wind and weather, then it could very well go a different way. For now though, we’re all jazzed here and betting heavily on John’s experience and talent. On other daily notes, we haven’t seen too much debris today, but have seen an increasing abundance of flying fish that continue to amaze us as they zip over the waves changing direction quickly, perhaps avoiding predator fish below the surface. Late this afternoon, we also saw a feeding frenzy of tuna and dolphins. The tunas were pretty good size … maybe 60-80 pounders … jumping right out of the water and fully into the air, with the dolphins doing the same thing. We couldn’t tell just what was going on down below the surface, but what an amazing site to see tuna flying through the air like that! And yes, we’re still eating well, and we have what I have calculated to be a sturdy enough supply of cookies to get us to Hawaii! We’re hoping for a Honolulu arrival sometime on Monday … and with a bit of luck from the wind and waves, hopefully a good strong finishing position … but regardless of where and when we finish, this has been some just EXQUISITE sailing, and we are all very grateful to have been part of this wonderful race. We also want to thank all of you who have contributed to our advocacy partner HAEA‘s fundraising drive. If you haven’t done that yet, please check out the good work they are doing here, and consider making a contribution. And thank you all once again for following along with our adventures! Skipper Jeff Urbina, Capt. 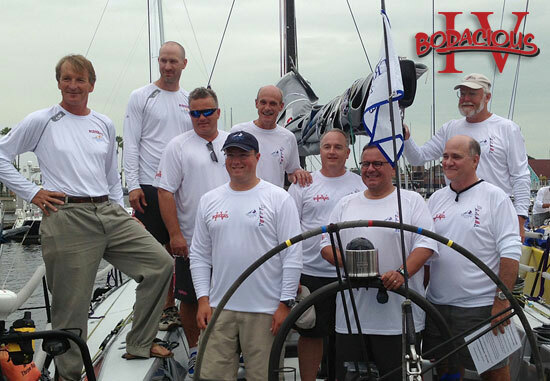 Tim Eades, John Hoskins (navigator), Matt Scharl, Jim McLaren, Chris Pike, Christer Still, John Ayres and Dave Rearick. 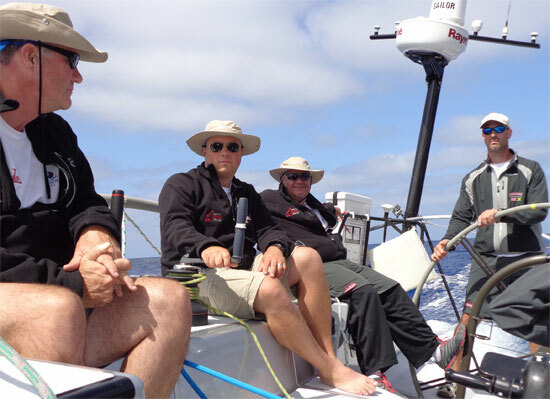 Transpac Update/ A Memorable Day #4! Did I already say we are in thick of it NOW? Because we still are! Spinnaker’s up, surfing and sailing along our desired tactical course to Hawaii. Every hour or so we go over the numbers, courses, wind predictions and plot. We then work, rework and play out the routing software hoping we will find ourselves in the right place at the right time. Sailboat racing has increasingly become a hybrid mix that melds the very analog physical act of sailing the boat with the goals of a digital video navigation game. But you know what? That only adds to the fun of it all! So far today (Monday), we’ve touched speeds in excess of 19 knots (!) 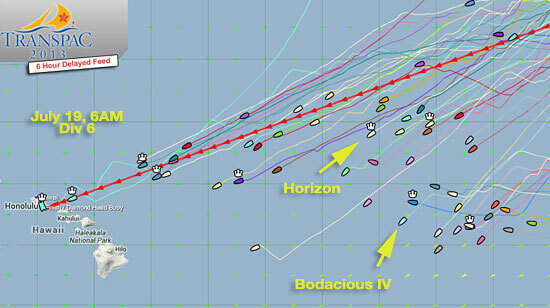 – with a 12 knot average, and we’ve clicked off in excess of 270 miles! We have now less than 1250 miles to go, but as we’ve described in past updates, we can’t always sail the course as the seagull flies, and so will inevitably have to gybe several times to get to where we’re going, which may extend our total distance by as much as another 100 miles. Minimizing this extra distance by sailing the rightest and tightest course is all part of a winning strategy of sailing less distance as fast as you can versus your competitors who are trying just as hard as you are to do the very same thing! Too much fun that as well! Chris Pike at the helm w/ the HAEA logo on the boom! We had some big excitement today. As we were sailing along under the spinnaker and “negotiating” among ourselves on whether or not to change to a stronger spinnaker in the heavier winds, or to keep up the faster spinnaker and risk blowing it out … all of a sudden – BANG!! … our tack line parted! The tack line is the rope that holds one corner of the spinnaker to the tip of the bowsprit at the pointed bow of the boat. As soon as that line blew, that flapping spinnaker turned into the biggest damn flag in the world! We all jumped into action … dropping our gourmet lunches and scrambling to pull the spinnaker, rig a temporary tack line – and hoist in its place the heavier, stronger spinnaker. It took only about 10 minutes I suppose, but soon enough, we were back up to speed and racing pretty quickly. We then spent some time putting a plan together to make a proper repair, which required someone going out to the very end of the bowsprit to make a quick attachment of a block and re-rig a new, stronger tack line … all the while Bo IV kept sailing along at 12 knots! With the help of a climbing harness attached to a halyard, one of our guys worked his way to the tip of the sprit, made the repair and returned successfully. We won’t worry anyone’s family or friends by saying just who that person was. … All is fine in the life of a sailor! Peace and calm the whole day long! Since that incident, we’ve been flying along all day today with no issues, although we did have to make frequent adjustments to the tack line and halyards, so as to spread the wear points out across more sections of the lines. So it was today that suddenly and out of nowhere, we spotted debris ourselves. Today’s tally: three fishing buoys, one large piece of plastic in a “T” shape, one large log about 15 feet long and one smaller narrow log about 8 feet long and 8 inches in diameter. There is much talk about marine debris, and there isn’t much that can be done about it other than doing our best as humans to prevent trash from entering the oceans in the first place. Much of this debris we understand is from the tragic tsunami in Japan, but it is still a worrisome thing for us as we move along. The good news is that for the moment, we are for now out of the identified debris field. Race-wise, as far as our position in the “Div 6” standings goes, we are still maintaining a slight lead … but the swift Horizon is always right on our tail. 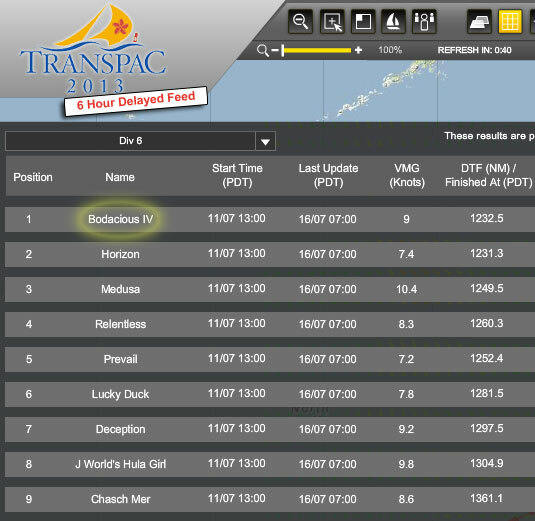 According to the Transpac Race Tracker … here’s the current leaderboard. … where we hope for clearer skies soon and some of those pretty twinkling stars to steer by! 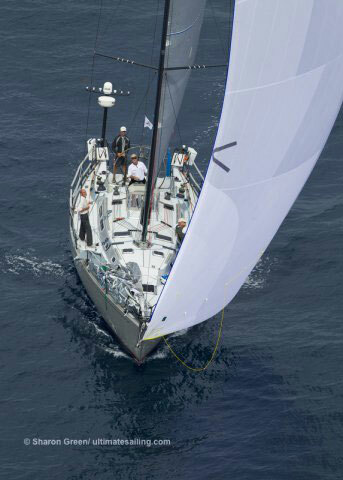 The Transpac started for us last Thursday at 1pm PDT. 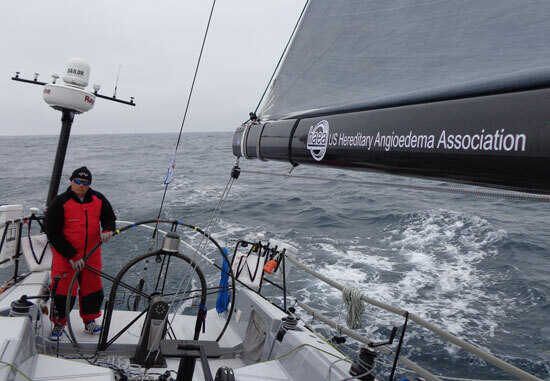 We had a soft wind start, which created challenges for our breaking free of the California coast. Winds stayed light and variable through Friday afternoon, when they gradually shifted “aft” … which opened up our sails and allowed us to pick up speed. The Bodacious IV team just before the start of the race. From L to R … Christer Still, Matt Scharl, Chris Pike, John Hoskins, Jim McLaren, John Ayres, Jeff Urbina, Tim Eades & Dave Rearick. The first night, we were surrounded by the constant baying of seals … a haunting call in the dark of night, to be sure. We also had a visit from some indeterminate species of mammal. It being dark, identifying it with any accuracy was difficult for us. As our crew is mostly from the Great Lakes, none of us are too experienced with the local amalgam of sea life. Once loose in the vast Pacific, you quickly come to realize how inadequate the paltry range of categories for sea life you carry with you are, when put against the greater varieties of species that actually exist all around you out here. It’s another one of those pay attention calls that nature loves to deliver, once you put yourself out there and on the receiving end of live experience. Cool and overcast conditions prevailed all the way to Saturday morning, when the sun broke through allowing us to shed some clothes for an amazing day of sailing at around 12 knots of boat speed and essentially down the “rhumb line” (a fixed compass position indicating the most direct route) to Hawaii. We were able to do this, because the Pacific High pressure zone had move to the north and west bringing us these great winds. Sunday arrived like a gift. 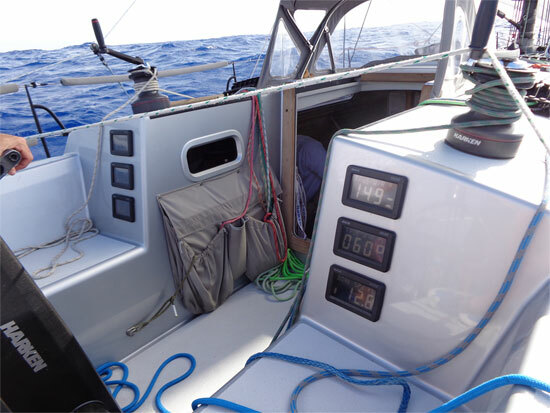 We set our spinnakers and went to working our way down the trade wind route to Hawaii, sailing between 14 and 20 knots … in winds coming from our starboard (right) quarter (back corner of the boat) direction. This was giving us steady speeds with a peak speed so far of 17.2 knots! We saw our first flying fish Sunday, which tells us the water is getting warmer … AND we had a squid fly up on deck as well, during one of our sail changes, and leaving some ink stains on the deck. Ancient mariners used to navigate by such natural signs. They knew that such occurrences indicated they were changing latitudes as the temperatures of the water, smell of the sea, angle of the winds, types of fish and sea life are all somewhat specific to certain regions of the sea … not unlike how various plants and animals on land are recognizably native to particular regions. Crew spirits are high, lots of laughs and barbs zinging back and forth. And on top of that, we are eating like kings! Dinner Sunday was a delicious Veal Moscato courtesy of Chef Pierce Johnson * … our French chef friend and long-time crew member who is sitting out the race this year, but who is remembered fondly at every meal. We started our Sunday with the Code 0 sail up, with a staysail as well. Then we switched to the A3 spinnaker, and later to our A2. The spinnakers are those large billowy (and photogenic) sails in the front of the boat. The various sails have different sizes and shapes to use for different wind angles and strengths. 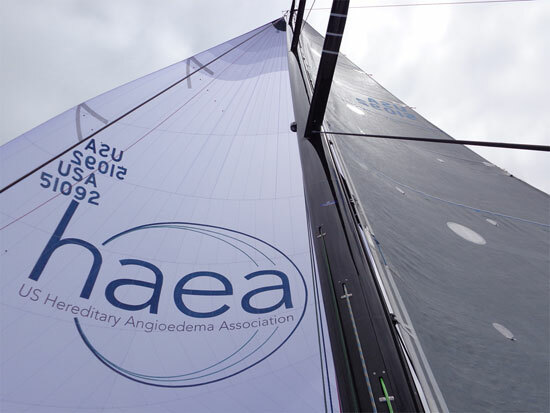 Our A2 also sports the logo of our advocacy partner, HAEA … and we are very proud to fly it. It might seem ironic that we are flying it out here in the middle of the ocean, where only a few of us can see it. But when you think of how many people there are who have never heard of this rare genetic disease, perhaps it’s not so ironic after all. I mean, you can see the photo here, and we will fly the sail all the way to Hawaii in hopes that awareness will have grown by the time we reach Diamond Head. Position-wise … because this is after all a race, it looks like we have moved from 3rd position in our division (#6) into a tie for 1st with Horizon … which is great … but there’s still a long way to go. That said, we’re feeling great and Bodacious IV is performing beautifully. 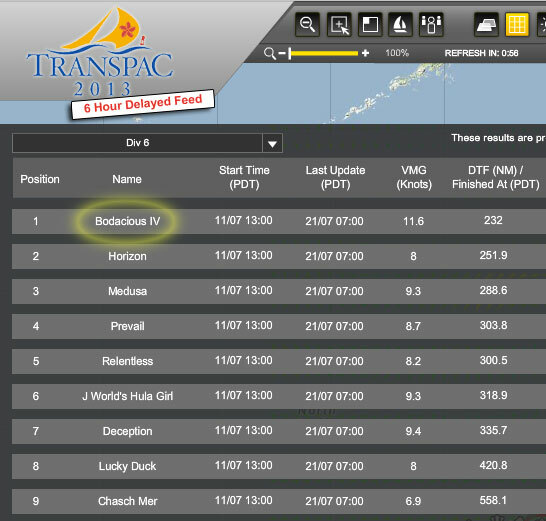 • The easiest way to follow the race is via the Transpac Race Tracker – and if you have a tablet, download the “Yellowbrick” app … as the tracking works even easier with touch control. 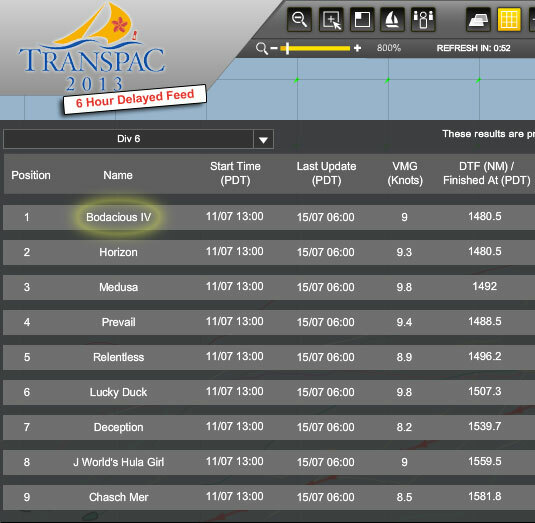 On the Leaderboard, Bodacious IV is part of “Division 6″ … competing against eight other 50′ and 52′ Santa Cruz racers! What a once-in-a-lifetime thrill for all of us! • Briefer but more regular updates can always be found on our Facebook Page. • Also, for our friends at Earthwatch Institute – we’ve been keeping an eye out for debris and wildlife. Not too much to report so far, except for the beautiful and wide-open blue waters of the Pacific as far as the eye can see. • We have approximately 1450 miles to go … so those of you following along on BodaciousDreamExpeditions.com and working out the math problems on the Explorer Guides, can do another calculation and take a guess at when we might arrive in Hawaii! Send us an email with your predictions. 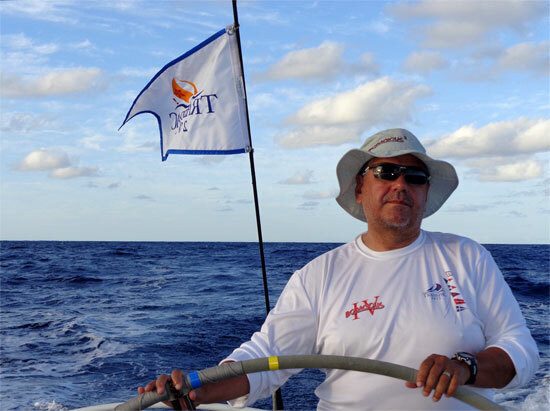 BD News/ On the Eve of the Transpac! 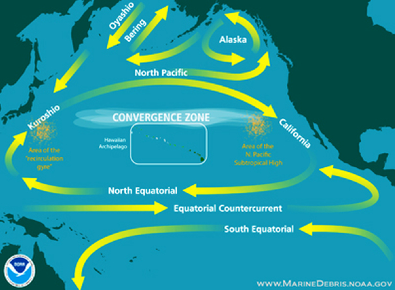 Concurrent to the race, we have also uploaded a Trans-Pacific Expedition discovery “module” onto our learning website, BodaciousDreamExpeditions.com … this one naturally covers the Pacific Ocean and Hawaiian Islands. Of course, we will (in our own inimitable way) be keeping you updated here on our Bodacious sites and on our Facebook pages as well. A New York Week & Back to Sea! What a week it’s been! New York is exciting enough on its own, but when you add in time spent with an incredible group of fellow sailors and all the great folks who put on the Atlantic Cup, as well days and nights filled with some super and very worthwhile events … well, it makes you very grateful for the opportunity to live such an amazing and “amphibious” life. We crossed the finish line late Tuesday night. As it turns out, coming in first gets you a few extra perks … like being followed and videotaped by a “media” boat … kinda fun one this with the towering Manhattan skyline all lit up. Wednesday was given over mostly to boat cleaning, body resting and food eating. 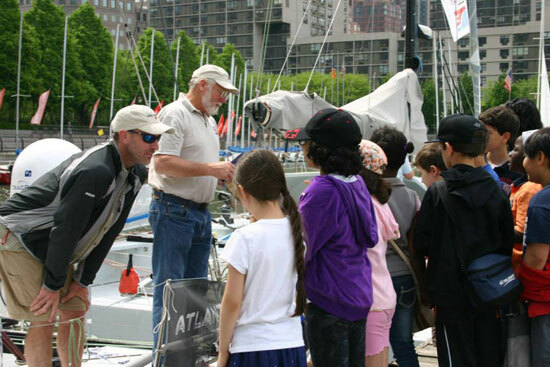 Thursday … was the Atlantic Cup’s “Education Day.” The event was produced in conjunction with the dedicated folks at The Rozalia Project for a clean ocean. Several of the skippers, including Matt and myself had the privilege of going down to the marina, where our boats were all moored, and there hang out and talk to these very bright kids about sailing and about the perils of marine debris. 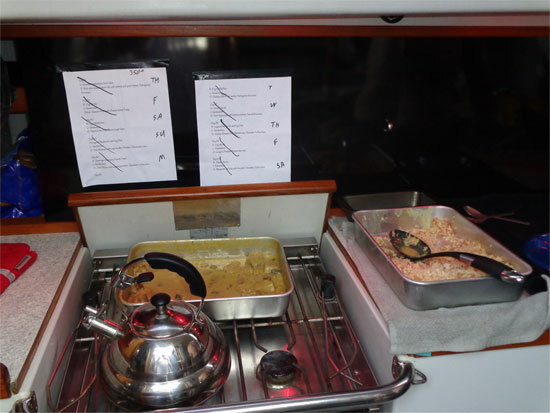 Among the questions that the kids asked, was what we ate on the boat. I had to tell them the unadorned truth – that we mostly eat freeze-dried food – that it comes in a pouch, we boil up a cup of water and pour it in, mix it up, let it sit for about 10 minutes … and voilà! And while it doesn’t always look like what you see on the label, it pretty much tastes like it … and when it doesn’t, we make sure it ends up tasting like something … with a lot of Tabasco sauce on it – the essential ingredient in a sailor’s spice rack! 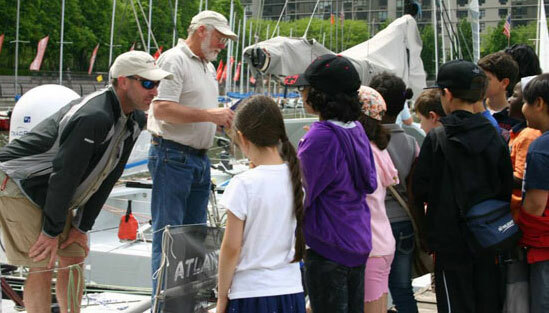 Among its other achievements, the Atlantic Cup is also the first carbon neutral sailing race in the United States. On Thursday night to help build on that agenda, they sponsored an evening seminar called, “Living on the Edge: The Atlantic Cup Presents Coastal Communities and Climate Change.” Among the speakers were some highly respected voices on the ocean and environment, representing some very forward thinking organizations including: Sailors for the Sea, Global Green USA, Climate Central, Grist.org, Green Mountain Energy as well as our fellow Atlantic Cup competitor Hannah Jenner, skipper for 40 Degrees. All in all, it was a great night, filled with many learnings and inspirations. Then yesterday, we participated in the Pro-Am race, and what a hoot that was! 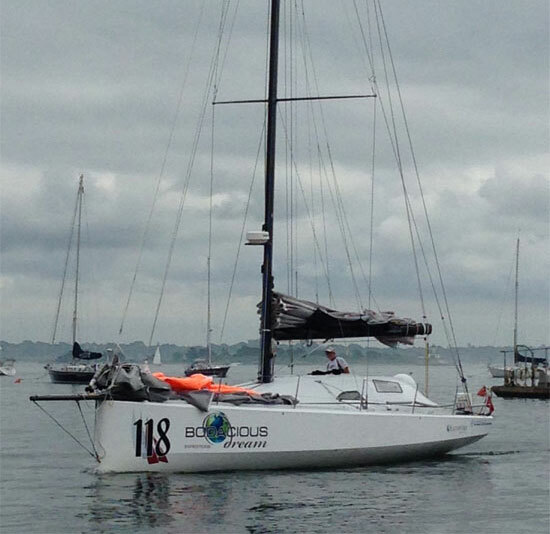 We were lucky to have onboard with us one of the race sponsors, Lauren and Michelle from Block Island Organics, along with two Rearick family members! While I’d like to say we dominated the event, the truth is far from that. What was interesting though was that the first and second place finishers of the first leg on the Cup race, were last and second to last in this one. But we all had a ball. 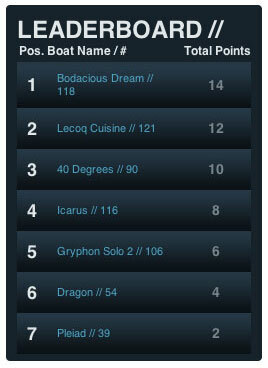 Hats off to Icarus for winning the Pro-Am event! Among the many happy memories of the past week, here’s another … a video I shot on the afternoon of Day 3 of the race, as Matt and I were making our approach to New York City. For those of you who asked about how scoring works in this race, and how they go about calculating a “three-legged” winner, it is a little complicated, but basically the winners receive points for each leg equal to the number of participants, and then from there on down, they subtract 2 points for each additional position. In any case, here to the left is the current leaderboard. As conditions were so challenging during the first leg of the race, and this week so filled with things to do, I haven’t had time enough to address some of the many interesting issues that we raised in our Bodacious Dream Expeditions Atlantic Cup Coast “Explorer Guides.” As much as I wanted to, and as much as there was to say … the ocean is the ocean, and in the end, it’s the boss of bosses and the keeper of our clocks. Reminding yourself of that, also serves as a humbling reminder of just how completely unique ocean racing is, compared to many other sports. You start at one designated spot on the globe and you end at another … and in between … you have NO idea what will happen. That makes finishing the race, an achievement in itself … and finishing ahead of your fellow racers … well, that’s the special sauce, isn’t it? Anyway, thanks to all of you for keeping an eye on Matt and I … along the way. Believe me, it’s much appreciated. We’ll be back as soon as we can with more. Until then, have a great mid-May weekend. I know we will. Atlantic Cup/ Day Two & Whew! It’s just after midnight on Sunday night, as I write this. A few hours back, we passed Cape Hatteras, the legendary “Graveyard of the Atlantic” … but to no ill effect. Right now, we’re on a nice jib reach sail through the night. A “jib reach” is when you are sailing towards the center of the wind, but not as closely as is possible, which we call sailing to windward or on a beat. So, our sails are slightly eased now, making for a nice somewhat easier sail. As we moved, a fingernail sliver of a moon and one planet to the right lit the early night sky, leaving a dusty trail of moonlight on the water. As those celestial visitors passed below the western horizon, we were left with a canopy of beautiful stars, some phosphorescence … and the disappointing realization that I had forgotten to buy cookies before we set sail, leaving me now with mighty slim pickens for my midnight snack. The first day of the race offered us some great sailing. My last short update was after exiting Charleston Harbor. Through last night, we sailed with our A3 spinnaker and though it was often difficult sailing, we made pretty solid gains and some time on the boats near us. After that, the fleet split up … taking one of two different strategies. One group stayed closer to the shoreline, choosing not to seek out the Gulf Stream. 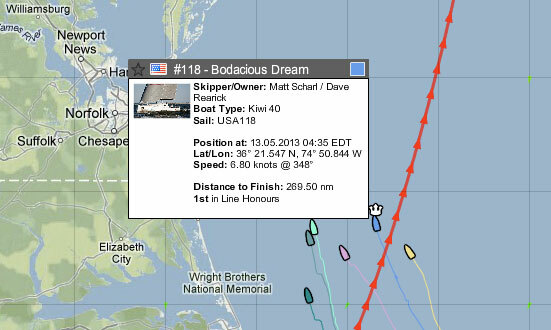 The other group, which included us, headed straight east to meet up with the Gulf Stream, before turning more northerly towards Cape Hatteras. Things were moving along quite well … with one exception; Matt had eaten something bad, and underwent a pretty nasty bout of stomach nausea and weakness. We’re not sure the cause, but we think it was some year-old French peanut butter. Once we made it out to the Gulf Stream, we attempted a gybe – changing course where the back of the boat turns through the wind rather than over the bow … which in strong winds is a complicated enough maneuver with a crew of 8 … and all the more edgy with just two of us. We then furled (rolled) up the A3, which gave us problems when the furl snarled up, leaving us unable to unfurl the sail. After much hard work, we were able to lower the sail and stuff it below decks, and sail on with our jib. This left us in a compromised situation for speed, not to mention that both of us at that point, and Matt with his stomach problem, were pretty exhausted. By about 04:30 hours, we had to make the decision to throttle back and attempt a recover – physically. Not long after that, the winds increased and the jib proved to be a fortunate choice of sail. So, I guess when I say it was some great sailing, that’s what I mean – not easy, but still great. We eventually got the A3 unrolled below decks and reset it about 08:00 hours and sailed with it most of the day. Lots of sail changes followed and just a little sleep. With Matt partly compromised and mostly staying in the cockpit steering, we both wore ourselves down. As the winds eased up some this afternoon, we were able to regain our energies, and Matt has been able to eat once again. Thank goodness for such tender mercies. 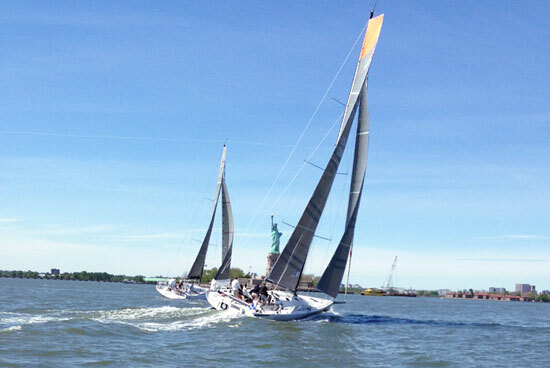 All in all, all is well – it’s just a day in the life of shorthanded sailors pressing to race on to New York. It appears on the last position schedule we saw, that we are still in contention, which we think has been because we were able to use the 2-knot assist of the current from the Gulf Stream to make up the miles we lost with the sail problems. I just learned that we are out front of the fleet at the moment. Well, what do you know? We’ll just have to stick around and see how the rest of the race plays out, won’t we? So, on we go into the dark of night – straight onto morning. As I write this, there’s about 275 miles left to NYC, and we figure that will take us about 2 more days. This leaves us with lots of opportunities to catch up and pull ahead, or to make some tactical mistakes and fall behind. The Atlantic Cup is a very tactical race – one where you have to take into consideration a confluence of natural events surrounding prevailing weather and currents to find the quickest route to the finish line. That’s one of the interesting and amazing things about sailboat racing. While it requires that you be a good athlete, it’s not just about one’s physical abilities either. As boats derive their power and speed from the wind and course they take through the water, a big part of the game is to harness Ol’ Mother Nature to your advantage, so that you can get you to our destination, quickly and safely. I guess that’s the Mother’s Day message we’ll leave you with; pass gracefully through the world, and be careful to leave no trace in your wake. Try as best you can to maximize your life, and minimize your impact! So, for now … back to business for us … and a good new week to you all! Our Awesome Ride to the Finish!